Laundry is time consuming and expensive. I can’t help you make it quicker, but I can help you make it cheaper. 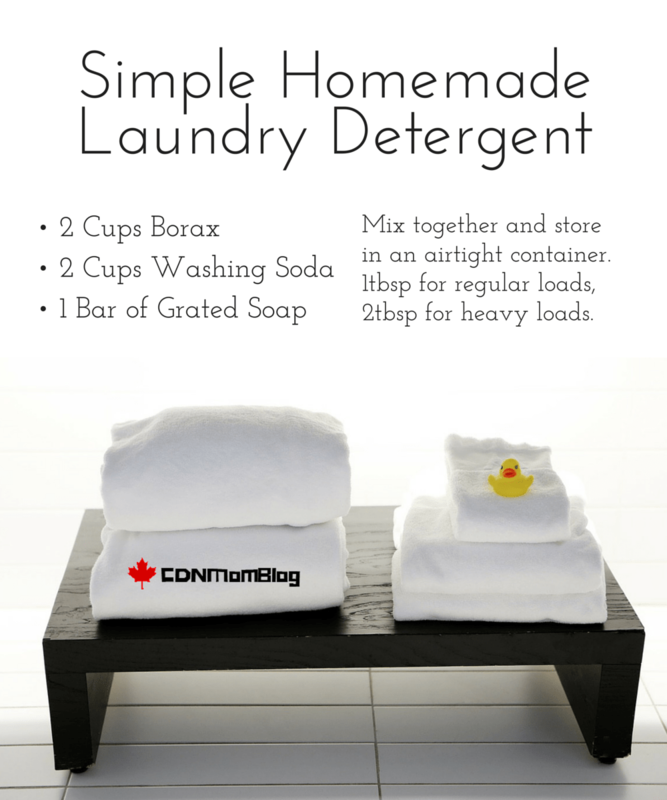 I have been using this homemade laundry detergent recipe for over a year now, with consistently great results — and I only wash in cold water! It only has 3 ingredients, which if you look at a bottle of standard detergent, is considerably less than the commercial counterpart. The soap is going to be what separates your recipe from all natural and scent free, and a more commercially made detergent. If you’re just looking to save money, then any soap will do. If you want to keep it eco friendly, add a natural, scent free, dye free bar. 1. Grate your soap using a regular kitchen grater. If you wash in only cold, I suggest using the fine grating side. 2. Combine the Borax, washing soda, and grated soap in an air tight container. 3. Shake or mix well, then cover and store. Add 1 tbsp for regular loads, or 2 for heavily soiled loads. At a tablespoon a load you would get 64 loads per batch, which works out to 256 loads for $15! That’s a load a day for 8 1/2 months!